How Einstein, being ignorant of today’s experimental physics, was able to fool the world into believing in many foolish things like infinite fields, massless photons, downward pulling gravity, equivalent momentum and force and an instantaneous expanding Big Bang singularity of pure energy instead of the eternal, stationary, and living cosmos dualities of atoms and photons. A pdf. 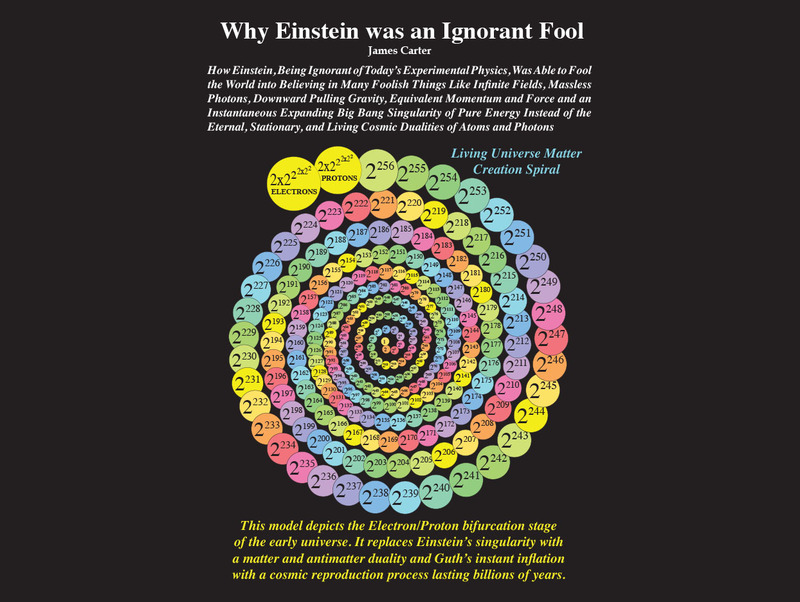 copy of the book, Why Einstein was an Ignorant Fool can be downloaded for free. Big Bang Physics Without Metaphysical Assumptions contains a description of the principles of Circlon Synchronicity, Absolute Motion, Gravitational Expansion, Atomic and Photon Dynamics and the Circlon Nuclear Structure of all the elements. 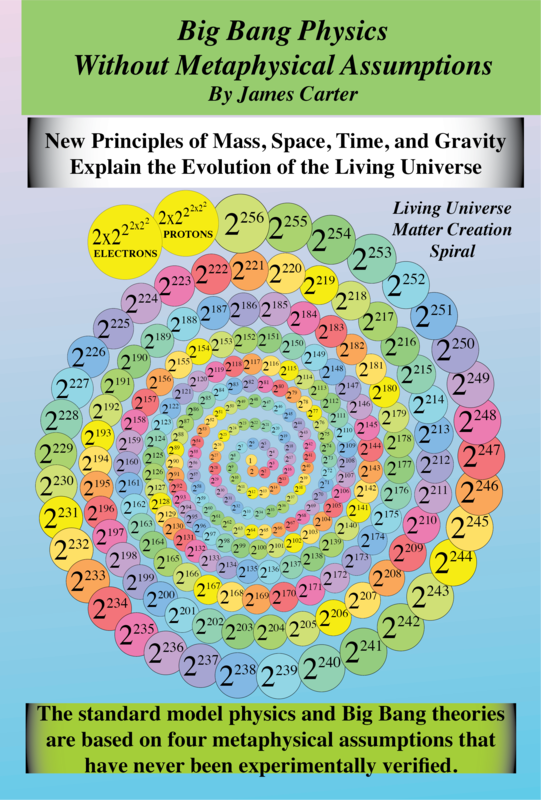 The Living-Universe is explained in detail and compared to the standard theory of the Big Bang. 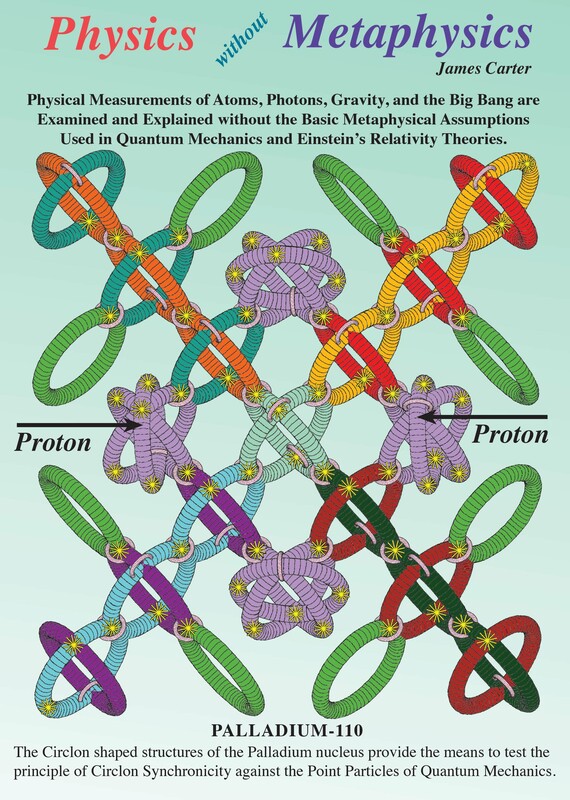 It contains many detailed illustrations of photons, atoms, gravity experiments and nuclear structures. Price of black and white edition $17.00 includes free Priority Mail shipping anywhere. 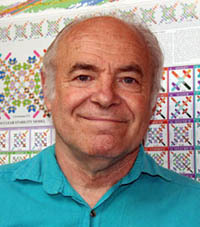 Physics without Metaphysics is a much expanded, full color edition of Big Bang Physics without Metaphysical Assumptions. It contains many more drawings and much more information about the experimental measurements of the dynamics of atoms, photons, gravity and the Living Universe. 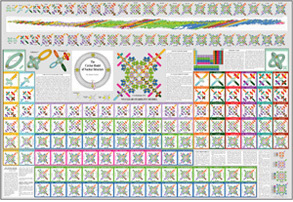 Price of $60.00 includes a free copy of the Periodic Table of the Circlon Elements wall chart and free Priority Mail shipping anywhere. 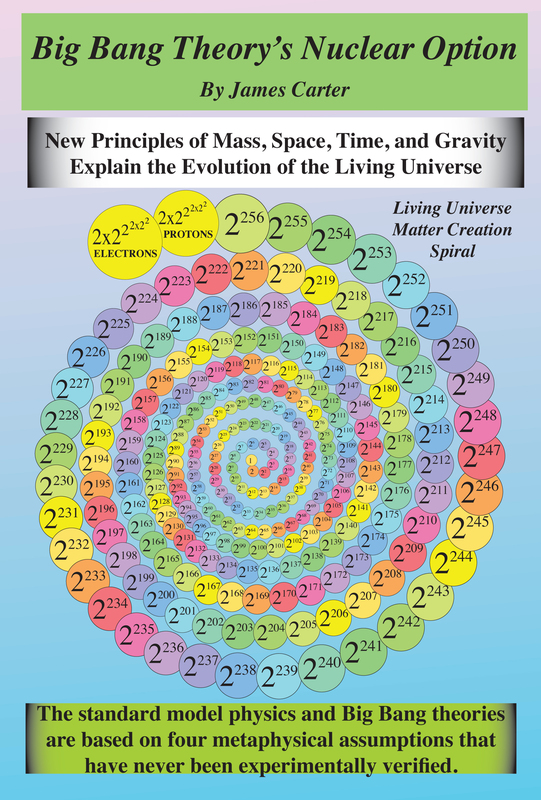 The following story of the Living Universe is a quantum mechanical tale of how a single antimatter atom God Seed germinated, sprouted, grew, and then went to seed with exactly 2257 protons and electrons. The dynamics and interactions of the Living Universe can be understood and illustrated by measuring quantum mechanical parameters and gravitational dynamics with accelerometer readings of force and motion to calculate the values of momentum, force, and energy for atoms and photons.